Does the BBG workout actually work? If you follow along on Instagram, you know I did the super popular workout program, BBG by Kayla Itsines . I’ve had a lot of you ask about it so I wanted to share my full BBG Workout review to help you know if it’s right for you! I knew I wanted to jump on some sort of workout plan (like I did after having Roy– find that review here) and my best bet is if I have a schedule to follow. If I have a plan I’m the type of person who doesn’t skip a day! I saw a few people I follow on Instagram share about the BBG workout and decided to jump on board. I got my sister to join me since we too. 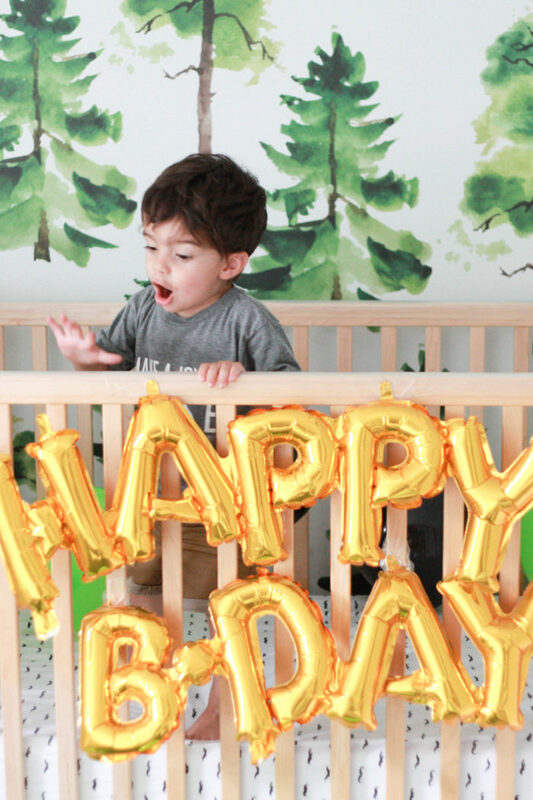 We could all use an accountability partner for things like this! BBG stands for Biking Body Workout. It is a workout plan created by Kayla Itsines. It focuses mostly on strength with 1 leg day, 1 arm/core day and 1 full body workout each week. You can either buy the full program and get it in a PDF document or get it through the app. I figured I could just do the program over and over again for the price of one program rather than paying a monthly fee for the workouts. Each workout is 2 sets of 4 different exercises. You do each set for 7 minutes and repeat it twice. So depending on how much you rest you’ll workout for around 30 minutes. My sister was super good about stretching at the end where I wasn’t and neither one of us warmed up that much. There’s a full 4 weeks of beginner workouts that are optional to do. This is where I started and Oh.My.Word. I knew I was weak from having 2 kids back to back but man I was so out of shape! I was actually really grateful for those beginner weeks before the “actual” work started. They were so hard that both my sister and I were freaked out for when the real work started ha! That’s probably the biggest “con” of her program. I had to modify exercises pretty much every day throughout her entire program. As someone who was super out of shape when I started, it made it really hard to do what she asked. She does give ways to modify it but don’t feel bad if there are some days you modify every single exercise! Trust me when I say you’re not alone! Overall, I saw INCREDIBLE results. I felt stronger, I got leaner and I had more energy. Initially I just did the BBG workout (so I worked out 3 days a week) but then I added in running 1-3 days a week on our treadmill. This workout is not for the faint of heart. It is a LOT of work and many of the exercises are incredibly difficult – even after we’d been doing them for weeks! BUT. If you put the work in and give it a good effort you will see results. I had lost most of my muscle so when I was adding it back but losing fat the scale didn’t bulge that much since muscle weighs more than fat. Take pics! I didn’t monitor my food a ton when I started but about halfway through I got more serious about not devouring ALL the sweets and carbs and it definitely made a difference too. I think there is a meal plan that you can buy but I just tried to switch my lunches to things like avocado toast and egg, scrambled egg scramble with veggies, soup, or sometimes a protein shake. Dinner is pretty much always chicken (made in our sous vide – similar to grilled, I guess) and veggies (we did a ton of brussels sprouts, carrots, beans, asparagus, spinach). Overall, I think it’s a great program. It’s relatively short and simple, hard but easy to modify to make it manageable and really easy to follow. How can you make it work for you? Seriously! On days I didn’t want to work out I would get a text from my sister showing her sweaty face and telling me she just finished her workout. It’s great motivation! Don’t only rely on the scale to tell you you’ve lost weight. 3. Don’t be afraid to modify the exercises! If you get injured than you’ll have to stop. Don’t feel bad if you need to modify every single workout for weeks – even on the last week I was modifying some of them! Do what you can. Kinda the opposite of number 3 ha! To get results you’re going to need to work hard. It’s only 30 minutes of your day – you got this! 5. Watch what you eat. I live by the motto – abs are made in the kitchen. Don’t waste all your hard work on a giant bowl of ice cream every night (but also don’t deprive yourself). I’ve figured out a handful of frozen chocolate chips when I need something sweet does wonders for my sweet tooth and prevents me from devouring an entire carton of ice cream that night. Try to eat more vegetables, watch your portions and listen to your body. 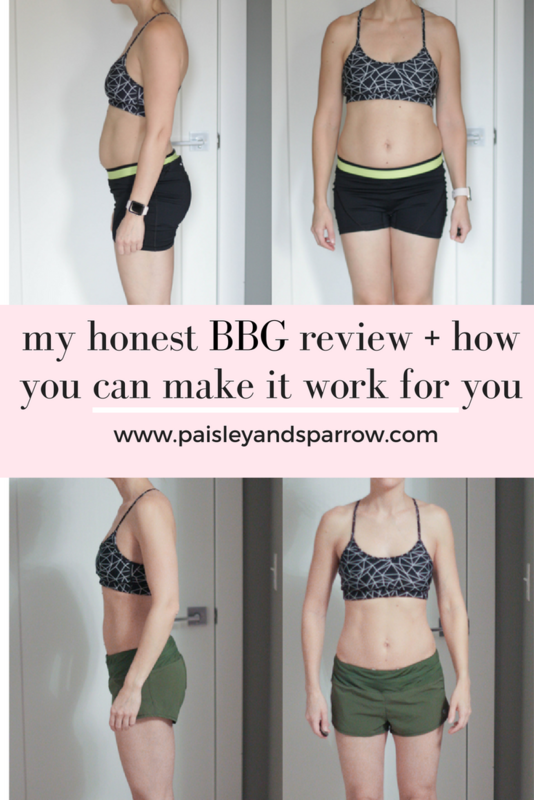 I really hope my official BBG Workout review helped you know if it’s right for you! Have you tried it? What’s your favorite workout? Share below! Be sure to also check out my Peloton Bike Review here! It was fun to read this! I just started her 4-week “beginner” series, and I’m SO GLAD to hear that I’m not the only one who is kind of freaking out about how hard the “real” stuff is going to be, ha ha. Thanks for the post! Haha I was the same way! I did the beginner series for like 6 or even 8 weeks because it was HARD! !